A lot of us love using “The True Story of the Three Little Pigs” by Jon Scieszka. Here’s how these three P’s work out for this story. The author’s purpose is to entertain the reader. This whole story is told from the Wolf’s point of view, so we call it First Person. His perspective might be how he views the events that took place (he was a victim). I was so concerned about this standard that I asked the OK ELA Elementary director for some advice. She told me that yes, students need to be able to identify the point of view . . . 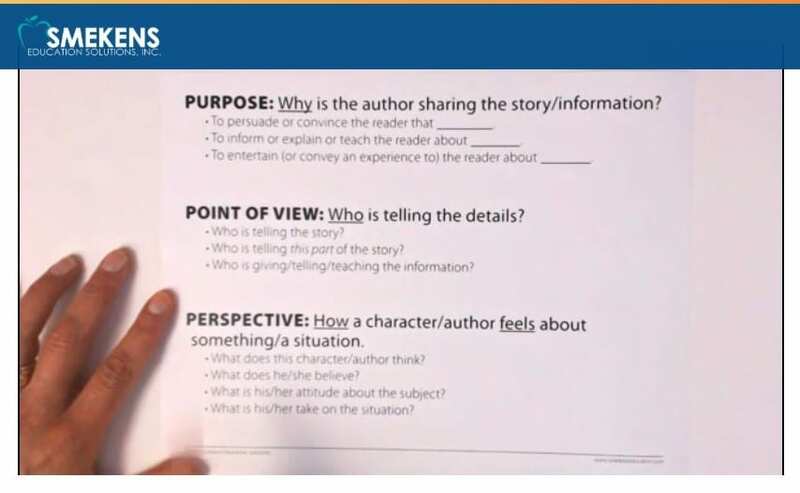 But students (especially in 3rd – 5th) need to be able to go deeper to determine how the point of view affects the information presented in the selection: Is it one-sided? Is it a more global view? Is there just one or multiple points of view? Does the point of view used give more insights into the character or the situation? Just one character or all of them?. I thought these were all very valid points! She also said the ELA Frameworks committee of teachers would be updating information on their website and it appears they have now clarified it, especially for 5th grade (in Oklahoma). See the link below. So this tells me I have to be super cautious about how I present this information to students. I can’t just make it a key word strategy. 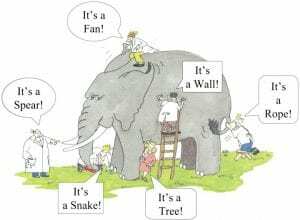 I have to help students actually see and experience the point of view (who is telling the story). If it’s first person, what am I able to learn about the character? Does he/she reveal their thoughts, their feelings, their predictions, their worries, etc.? Or does he/she just tell what the actions are in the story? Where is the evidence? If it’s third person, what am I able to learn about everyone involved? Are any of their thoughts revealed – or just their actions? How does knowing the point of view help me evaluate the selection? Where is this evidence? How is a character’s point of view revealed through dialogue? What perspective is involved in how the story is told? Here is some very helpful information from the 5th grade OK ELA Point of View std. 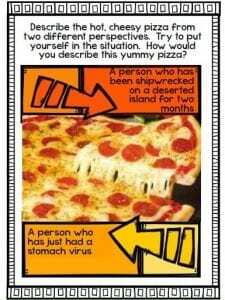 Here is the 4th grade OK ELA Point of View std. Here is the 3rd grade OK ELA Point of View std. Here is the 2nd grade OK ELA Point of View std. 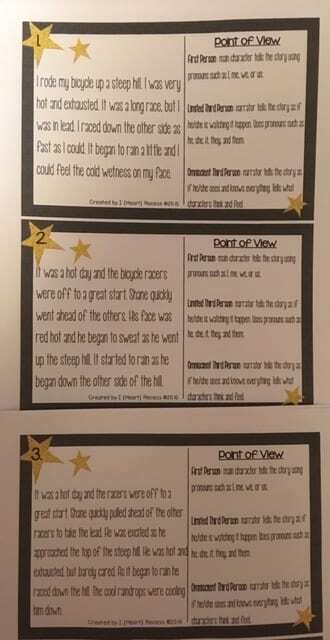 Here is the 1st grade OK ELA Point of View std. First graders only need to be able to know who is telling the story (not to name it as first or third person). I have selected some FREE resources I think are worthy of using. If you have some you think are great to share, please let us know!! Enjoy!! Let us know of your experience with point of view vs. perspective.